Are you dreaming of a green Christmas this year? If so, here are a few easy ideas to make your season greener. Artificial trees are convenient because don’t need to worry about falling needles and you only need to buy one and you’re ready for Christmas for years to come. But is a an artificial tree really better than a real one? If you don’t like the idea of cutting down a tree every year, look for a living Christmas tree that can be replanted after the holidays. Check your local nursery. Many offer living trees and some will even take the tree back after Christmas and donate them to the local parks department or another organization that will replant them. If you live in Los Angeles or Portland, Oregon, you can even rent a tree from LA’s Living Christmas company or Portland’s Original Living Christmas Tree Company. An easy way to save electricity during the holidays is to use eco-friendly LED lights on your tree and automatic timers for your outdoor lights. LED lights light just as well as traditional lights, but take less energy. For your outdoor lights, plug them into a timer that will turn the lights on and off at the times you specify so you don’t accidentally leave them on all night. Your friends and family don’t know to be eco geeks to enjoy eco Christmas gifts such as a recycled fleece jacket, bamboo kitchen utensils, or an iPhone charger that shuts off when the phone is charged. There are even eco-friendly toys for toddlers. If you’re sending out cards for Christmas, choose recycled Christmas cards or a personalized ecard. Sites like Smilebox can help you create personalized electronic greetings with your own text and photos. For your Christmas letters, rather than buying packaged stationery, use a Christmas letter template. This way, you can print your letters on recycled paper and you won’t have extra sheets of paper that get wasted. 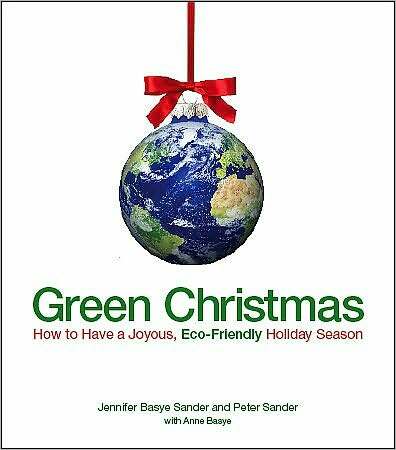 It’s easy to have an eco-friendly Christmas!